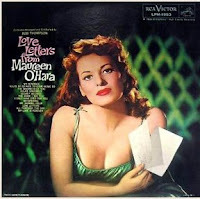 Here is a beautiful song performed by legendary actress Maureen O'Hara. Maureen O'Hara (born Maureen FitzSimons in 1920 in Ranelagh, County Dublin, Ireland - 2015) is an Irish film actress and singer. The famously red-headed beauty is noted for playing fiercely passionate heroines with a highly sensible attitude. She is fluent in Irish and used this in her films "The Long Gray Line", "The Quiet Man", and "Only the Lonely". Maureen FitzSimons came from a theatrical family. She auditioned and was accepted into the prestigious Abbey Theatre in Dublin at the age of 14. Her first major film was "Jamaica Inn" (1939), directed by Alfred Hitchcock. Charles Laughton was so pleased with her performance, that he cast her in the role of Esmeralda opposite him in "The Hunchback of Notre-Dame", which was to be filmed at RKO Studios in Hollywood that same year. When World War II began, she moved to the United States. John Ford cast her as Angharad in "How Green Was My Valley". In 1946, she became a naturalized citizen of the United States. Maureen had a beautiful soprano voice and her first love was always singing. Her dream was to become an opera singer (Maureen's mother was an accomplished operatic contralto). Unfortunately the studio heads never capitalized on her music talent because she was already big box office playing in many diverse genres of film. 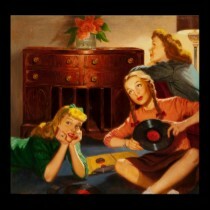 However, she was able to channel her love of singing to TV. In the late 50's and early 60's she was a sought after guest on musical variety shows appearing with Perry Como, Andy Williams, Betty Grable and Tennessee Ernie Ford. In 1973, she appeared on Ford's "Fabulous Fordies" TV special. In 1960 she starred on Broadway in the musical "Christine" and released two successful recordings, "Love Letters from Maureen O'Hara" and "Maureen O'Hara Sings her Favorite Irish Songs". She is one of the most beloved of Hollywood's Golden Age icons and at the height of her career was considered one of the world's most beautiful women. She is best remembered for her chemistry with legendary John Wayne. She made five films with him - "Rio Grande", "The Quiet Man", "The Wings of Eagles", "McLintock! ", and "Big Jake". Many of her films are considered all-time classics. She was given the Heritage Award by the Ireland-American Fund in 1991. In 2004, Maureen O'Hara was also honored with the Lifetime Achievement Award by the Irish Film and Television Academy in her native Dublin, Ireland. She was named Irish America Magazine's "Woman of the Year" in 2005 - with festivities held at the Plaza Hotel in NYC. For her contributions to the motion picture industry, Maureen O'Hara has a star on the Hollywood Walk of Fame. 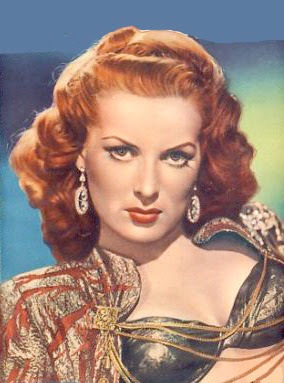 Enjoy Maureen O'Hara's beauty and charming voice!